A year ago I wrote about saying goodbye to summer in style, with a couple of great party ideas. Well, I’m back for more. A fresh crop of party plans, and even a little inspiration song for each! 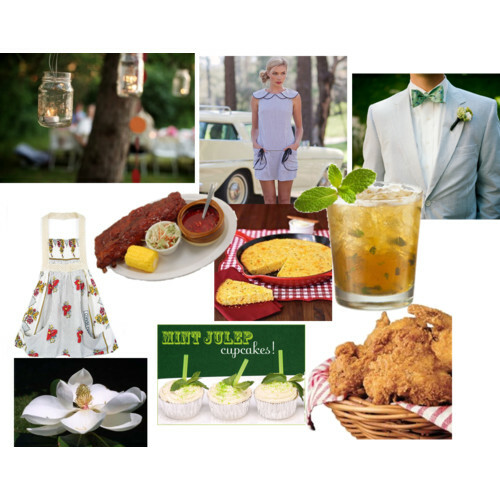 The Julep Joint Farewell – A Sourthern-styled party, complete with iced tea in mason jars, cornbread, fried chicken or pork chops, green beans and cole slaw, corn on the cob, teaglass chandeliers outside, lots of white sundresses and seersucker suits, and of course, mint juleps! 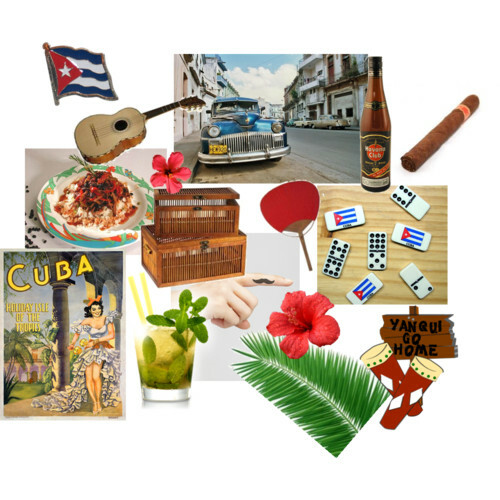 Cubano Adios – Summer in Cuba is all about staying as cool as possible. Mojitos and rum help with that. After the sun sets, break out the dominoes and cigars while you practice your cha-cha. Some lively Cuban jazz, with some gorgeous pictures! 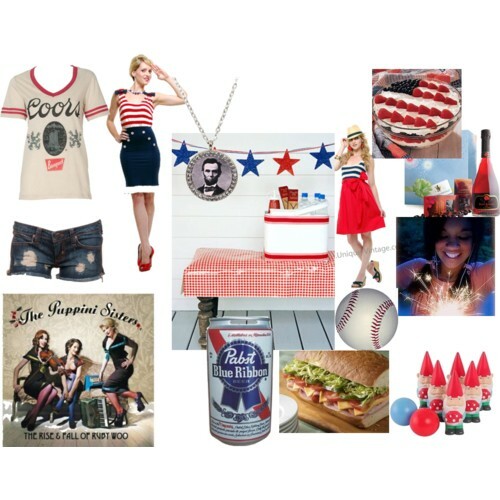 Americana BBQ Send Off – maybe you don’t want to put away your Fourth of July gear just yet. So dust off your favorite buntings, shine up your Tarina Tarantino Lincoln necklace and put sparklers in everything! I love this color combo so much I would probably go overboard, hence the PBR and scouring the internet for RWB strawberries. What kind of “so long summer” parties are you planning?